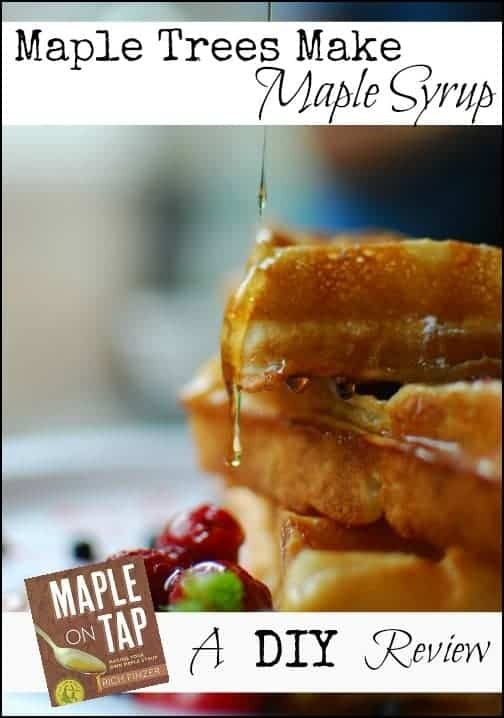 Did you know maple trees make syrup? Crazy, right? Did you know you can learn to tap your own maple trees to make syrup? 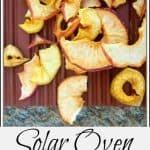 Let me share with you what I’ve learned and why I’m NOT tapping my own maple trees (at least, for now). Enjoy DIYs?! 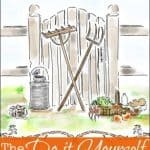 Be sure to check out our book, The Do It Yourself Homestead , and learn to do and make all kind of things yourself on your homestead. Whether you live in the city or the middle of nowhere; whether you’re experienced or a complete novice. 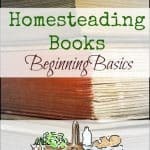 The Do It Yourself Homestead is written on four different levels of homesteading experience. Check it out below! I was sent a copy of Rich Finzer’s Maple on Tap , a straightforward little tome on learning how to make your own maple syrup. Last year I read it in a sudden burst of brilliance and planning. You see, I was going to figure out how to tap my own maple trees on the homestead. Now, I had no idea how this was going to happen but I was tired of paying so much for beautiful, healthful Grade B Syrup at my local health food store. I was sure Mr. Finzer could teach me how to DIY this one! Maple Trees for Maple on Tap? The first thing I learned from my reading was that you don’t need maple trees to get syrup. 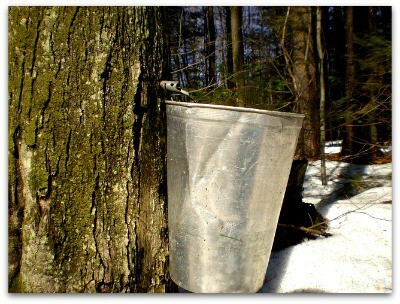 A lot of different trees can be tapped for their sugary sap, which is then turned into syrup. Here’s a great post by Homestead Honey on how they tapped their Black Walnut trees. This family is in Missouri, where we plan to move so I was reading this post with keen interest. 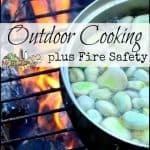 She also has a thorough article about getting ready for backyard tapping – click here to read that. Homestead Honey has a really awesome book on building your own outdoor pizza oven, by the way. You’ll be out there watching your maple sap boil down for a loooooong time – some pizza would be welcome. Just sayin’. Maple on Tap focuses on maple trees and how to tap them yourself. I learned that this is a uniquely North American product and activity because of the climate and native maple tree populations. All these types can be grown on the same woodlot. This concept has become increasingly important to me the more I learn about permaculture. Here’s a permaculture profile of the maple tree – click here. It’s disturbing to read that Vermont maple are declining! I think planting as many sugar maples as we can is a civic duty. Don’t you? The syrup doesn’t boil itself, either. You and your helpers have to sit around while all that sap boils to the right consistency, flavor and water content. Suddenly, my paying the going rate at the health food store wasn’t seeming like too much to ask. Plus, Finzer’s prose is light and easy to read. He emphasizes the basics for people just learning how to tap their own maples. The thing he mentions most often? Wood. He’s constantly reminding you to make sure you have enough wood to burn for your whole sap-boiling endeavor. He’s run out before and he knows firsthand how that is simply not a good thing. In fact, one of the things I like most about this book is that it’s honest. He shares his mistakes with us and the things he’s learned to do differently. Mr. Finzer shares his DIY tips and his recommendations for the items he purchases throughout the book. He gives you options from which to choose and allows that you might want to do something different. Rich encourages you to experiment and continue to learn. Maple Syrup Making with Kids? Although he recommends that boiling the sap should be reserved for older children and teenagers. Ultimately, after reading Maple on Tap , I decided that tapping my own maples is not something I’m ready for yet. For one thing, I don’t have enough trees where I am right now. When we move to the next homestead, I’m hopeful we’ll have a goodly number of trees to eye for tapping in the future. Let’s face it, there are only so many things on person can reasonably be expected to do at once. I’m at my limit right now. However, I think that Maple on Tap served it’s purpose for me. Sometimes, the greatest thing an author can do for their reader is to convince them to forgo a venture, at least for a time, by laying out the facts. However, for those who are ready to embrace this totally plausible venture (Finzer has great instructions), I hope you’ll check out Maple on Tap to help guide you through. 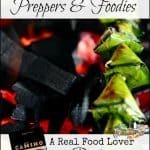 For one thing, you have to read the section where he talks about how he makes the whole boiling down process go more efficiently – it’s really cool. 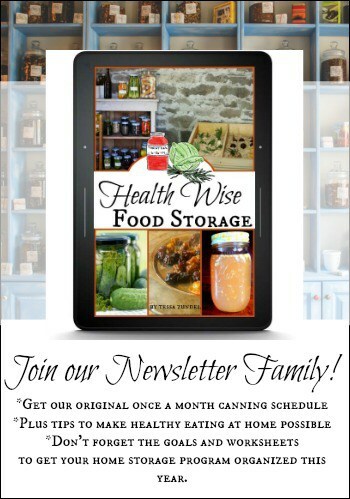 Are you new to maple sugaring or a first-timer wondering if this is for you? Don’t fret or be intimidated by taking on this hobby. Yes, it does seem daunting at first but we promise that once you’ve done it, you’ll be amazed by how simple and straightforward the entire process is and by what a great family and outdoor winter activity sugarmaking can be. Once you’ve been through this first season, you’ll have the tools, the knowledge, and the experience to easily do it again next year – and you’ll probably be looking for even more maple trees! And don’t forget, you have Maple Tapper with you and we’re not going to leave you alone in the woods! We’ve filled our website and blog with inspiration and information. We will answer every question sent to us and keep growing our forum with questions from folks just like you. Every kit comes with an 80-page book filled with details and instructions for every step including photos, recipes, and more. Also included is a take-along instruction sheet that you can carry with you as you tap your trees. Both pieces were written by a professional writer (who’s also a sugarmaker) and she researched everything thoroughly, interviewed professionals, and took pictures of the entire process. We know you’re going to love this new hobby. So jump in, tap a tree, and see what sweet things happen! Be sure to check out their website for tools, books and help! Thanks so much for the info! Tapping trees is one of my planned adventures for this year. I’m so glad it was helpful, Karla! My husband was just oohing and ahing over that book again last night and he’s all excited about it, too. Let me know how it goes and I’ll include your experience in our newsletter for everyone to benefit from – unless you would rather I not, of course. Are you doing maples or something else? We don’t have much in the way of sugar maples here but we have other maples and black walnuts. Joybilee Farm just posted about tapping birch trees – we definitely have a few of those in Utah! I finally convinced my husband that we should try our hand at making syrup this year. It might not be something we do every year, but I think we should at least know how to do it! I can’t wait to see how it turns out! Ooh, that’s wonderful! Let us know how it goes and I’ll include your info in our newsletter, if you don’t object. Do you have sugar maples or some other kind of tappable tree? My daughter and I just marked our maples this fall. We’re hoping to tap them this spring! That’s so cool! How many did you find? i hope i win one of these awesome sets. i think ur giveaways are awesome! So glad you entered, Sara and good luck! I can’t take any credit for the giveaway since my good friend, Kathie, from Homespun Seasonal Living put it together but I’m so glad you like it. This company was new to me but they’ve been super to work with and I really like their products. Fortunately, they’re nicely priced so that, even if you don’t win, you might be able to find something you can afford. Let us know if you tap something this year!! You’re so welcome – I’m still learning but I figure we can all learn together! This is definitely a skill on my bucket list. Thanks for the great info. Mine, too! So glad it was helpful – let us know when you get around to it because I’d love a report. This will be our first spring on a new property. About half of our trees are maple and the other half are black walnut. This is the first time I heard we can tap them all. Thanks for the tip!!! I’m excited to try it out this year, for the novelty if nothing else. That is so, so cool, Elizabeth! It’s like finding buried treasure on your homestead. Please let us know how it goes and if you use Maple Tapper products, I’m sure they’d love to hear from you, too. Do you have kids who’ll be helping? I’m interested in doing this with my kids! We bought a house last year with several huge maples.We definitely plan on learning to tap. Thank you for the great information! Oooh, huge maples are the best kind! Have so much fun tapping and let us know how it goes! Great post. We started this last year (with 2 acres of woods there isn’t a lot you can grow/ raise, lol) From only 8 taps we made a gallon of syrup. It doesn’t take a lot of taps. Last year, we gathered in washed out gallon jugs. To make life easier, this year, we are using air hose and 5 gal buckets. We have 2 times the taps out!! The boiling takes forever. 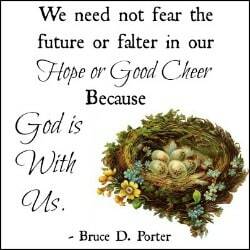 We are still learning! My 12 yo wants to make maple cant this year! Where are you looking to move in MO? We have been looking there as well, in the Southern area. That’s so exciting, Alicia! I think, like anything else, it takes practice and it sound like you’re doing just that. I love that your kids are involved, too.